Low-fat muffins may seem like a healthier option than other baked goods, but they’re really not any better. A small, 71-gram, low-fat blueberry muffin contains 19 grams of sugar. This is 42 percent of the calorie content. However, this is a much smaller muffin than you’d find in a coffee shop or convenience store. One group of researchers reported that the average commercial muffin is more than 300 percent larger than the U.S. Department of Agriculture standard size. 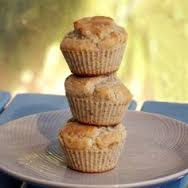 With the exception of bran muffins, low-fat muffins contain little fiber and often have a high glycemic index (GI). High-GI foods raise blood sugar quickly, which may increase the hunger that drives overeating and leads to weight gain. Bottom Line: Low-fat muffins are high in sugar and have a high glycemic index that may lead to hunger, overeating and weight gain. 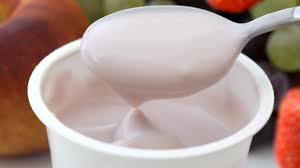 Low-fat or nonfat frozen yogurt is considered a healthier choice than ice cream because it’s much lower in fat. However, it contains just as much sugar as ice cream, if not more. 100 grams (3.5 oz) of nonfat frozen yogurt contains 24 grams of sugar, while that amount of ice cream contains 21 grams. What’s more, portion sizes for frozen yogurt are typically much larger than those for ice cream. Bottom Line: Frozen yogurt contains as much or more sugar than ice cream and it’s typically consumed in larger quantities. Low-fat cookies aren’t any healthier than other cookies. They’re also not as tasty. When the low-fat trend was at its peak in the 1990s, many low-fat cookies filled grocery store shelves. However, researchers found that these low-fat versions were not very satisfying compared to the originals. Like most low-fat foods, the sugar content of these cookies is high. 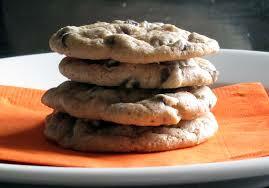 A fat-free oatmeal raisin cookie has 15 grams of sugar, which is 55 percent of its total calorie content. In addition, low-fat cookies are typically made with refined flour, which is unhealthy. Bottom Line: Low-fat and fat-free cookies aren’t any healthier than regular cookies. They’re very high in sugar and also taste worse. 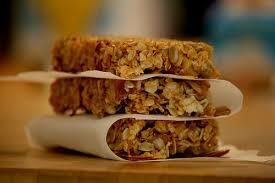 Low-fat cereal bars are marketed as a healthy on-the-go snack for busy people. In reality, they’re loaded with sugar and contain very little protein, a nutrient that promotes fullness. In fact, research shows that consuming high-protein snacks can help prevent overeating. One popular low-fat, strawberry-flavored cereal bar contains 13 grams of sugar but only 1 gram of fiber and 2 grams of protein. Bottom Line: Low-fat cereal bars are high in sugar but low in fiber and protein. In addition, they contain far more sugar than fruit. Low-fat spreads such as margarine aren’t a smart choice. Even though they have less fat than original spreads such as butter, they still contain highly processed vegetable oils that can be harmful to health. What’s more, some of the light spreads specifically marketed as being “heart-healthy” actually contain small amounts of trans fats, which have been linked to inflammation, heart disease and obesity. 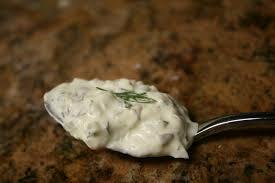 It’s actually much healthier to use modest amounts of butter or healthy mayo rather than processed low-fat spreads. Bottom Line: Low-fat margarine and spreads are highly processed. They are made with unhealthy vegetable oils and often contain trans fats. Low-fat foods may seem healthy, but they’re often loaded with sugar and other unhealthy ingredients. These can lead to excessive hunger, weight gain and disease. For optimal health, it’s best to consume unprocessed, whole foods. This includes foods that are naturally low in fat, as well as foods that naturally contain healthy fats.